Provo City v. Utah Labor Commission, an appeal from the Utah Supreme Court, involves a claimant who worked for the city as a facility service technician. He was injured in an automobile accident while driving his truck for a work-related purpose. Claimant alleged the accident caused further injury to an existing congenital spine consider. 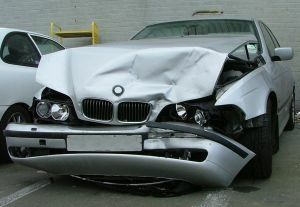 The accident caused claimant to suffer chronic pain and other disabilities, according to his claim for workers’ compensation benefits. Claimant continued working for city, but after four years, he claimed his pain and other symptoms were no longer manageable and requested reassignment to a job with less physically demanding responsibilities. After city told claimant such a position did not exist, he left his job and filed a claim for permanent total disability (PTD) benefits through employer’s workers’ compensation insurance carrier. He alleged in his claim, by the time he had left his job, his condition had worsened to the point where he was totally and permanently disabled. As our Boston on-the-job injury attorneys can explain, a permanent total disability rating means claimant is completely unable to work due to a job-related accident or illness and is entitled to full workers’ compensation benefits. As part of a full hearing, state workers’ compensation commission Administrative Law Judge (ALJ) reviewed more than 20 reports prepared by doctors and other experts. While all doctors were in agreement that claimant still suffered some degree of disability based upon his work-related car accident, they did not agree as to the extent of his disability. Some doctors believed his was malingering. Malingering is a term workers’ compensation experts typically use to mean a person is faking or exaggerating his or her illness to escape working. On the other hand, some doctors opined claimant was genuinely disabled and could not do any amount of work regardless of restrictions put in place. After reviewing all evidence parties had submitted, ALJ determined claimant was not totally disabled within the meaning of statutory requirements and dismissed his claim with prejudice. In the context of a dismissal, with prejudice means a case cannot be refilled, as opposed to a dismissal without prejudice, which can be refiled at later date upon a showing of good cause. Claimant then appealed this dismissal on grounds ALJ should have appointed a medical board since there was conflicted medical testimony. The court concluded claimant was correct and remanded the case so ALJ could reopen claimant’s case and appoint a medical review board. After reopening the case, ALJ appointed a medical review board and examined its findings. Now, ALJ reversed himself and found claimant to be permanently totally disabled and awarded him full workers’ compensation benefits for his work-related injury. Employer appealed this decision to the state supreme court. One appeal, court concluded claimant suffered from a permanent total disability as a result of his on-the-job car accident and affirmed ALJ’s findings. Appellate court concluded there was no mistake in applying the law, and ALJ had used a medical review board as required by statute and the lower court’s order. Increased Fines for Employers Who Do Not Maintain Workers’ Compensation Coverage, July 22, 2014.